The Hilltop is a 3 star hotel located in Hanioti, a small village in the Kassandra Peninsula of Halkidiki. Set upon a small hill, it's only a couple of minutes walk from the village shops and about 700 meters from the beach. The Hilltop is a small hotel that opened its doors in 1992 and has been expanded and renovated almost every year. But it's not just a hotel or a wedding venue. We know that planning your event is no easy task, especially when planning it abroad. You have to make sure that everything will be in perfect order for this special day. We are not just organisers, or wedding planners. We are someone that you can trust because we our unique expertise and passion for perfection will definitely make your event unforgettable. 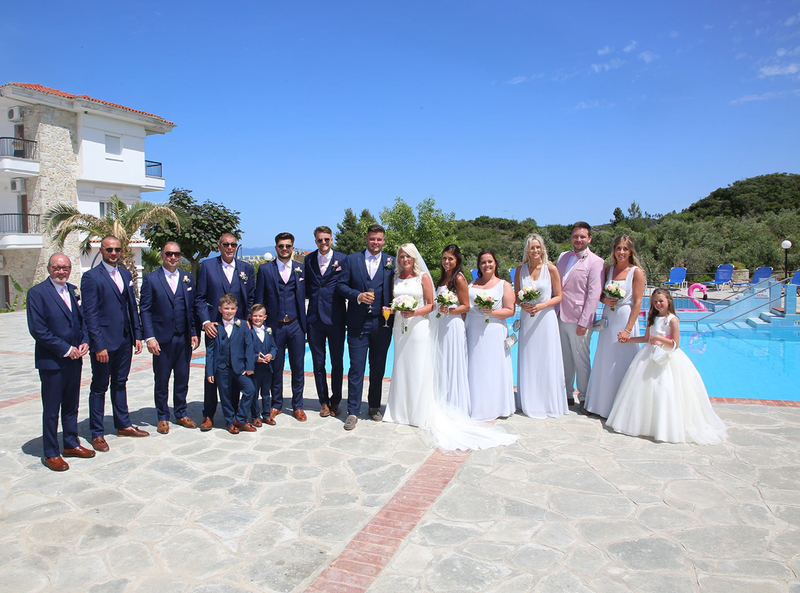 We organise wedding receptions, christenings, birthday celebration or any other important event of your life. We can take care of every single detail for your event such as accommodation, catering services, equipment, sound & lighting design, decoration, photography, video and transfer. It's very important to know you have found the right people who understand your needs and guide you from the very first moment. 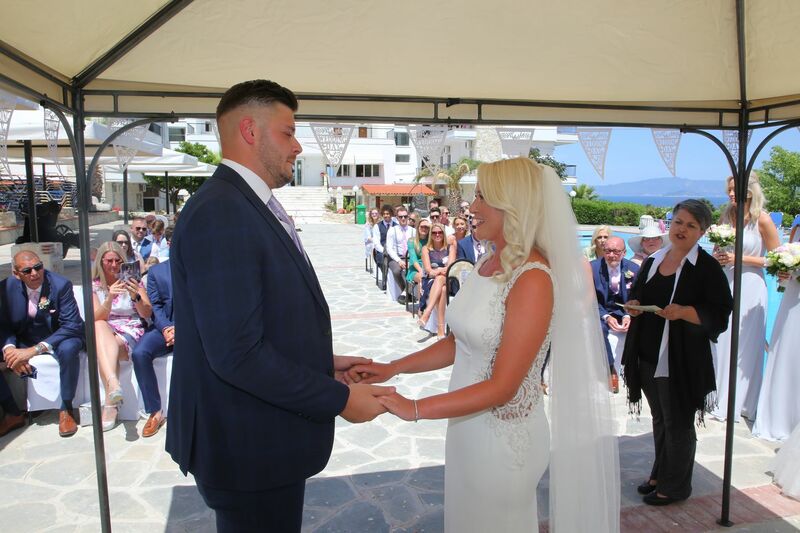 Your civil wedding ceremony can be held under a gazebo in the exceptional setting of the gardens of the hotel right next to our swimming pool. We offer classic, chic and romantic wedding decoration and we can also provide you with extra decorated chairs for your guests. 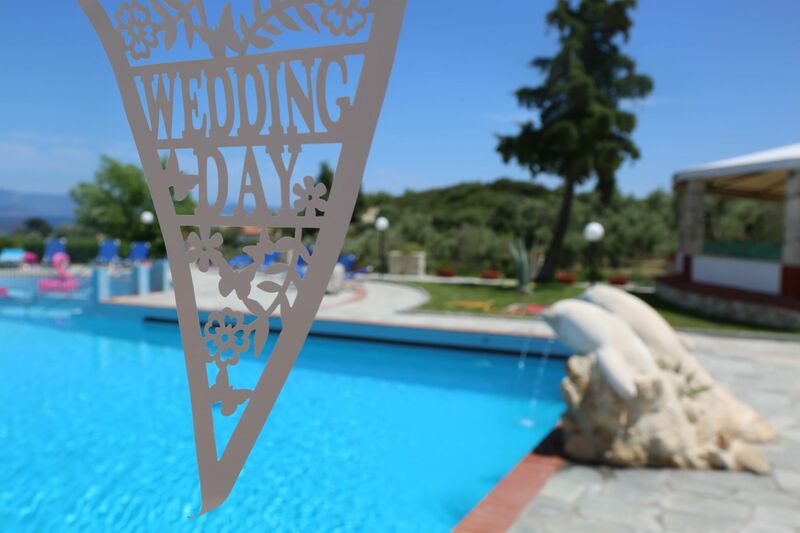 A member of our staff will take care of the final details together with the representative of Kassandra's Municipality that will solemnize your marriage. Following the ceremony, right next to the wedding gazebo you can enjoy your first glass of champagne as a married couple. A rainy day will not ruin your special day at all. Our main restaurant is air-conditioned, can seat up to 120 guests and its stone walls can be decorated with flowers and banners of your choice.